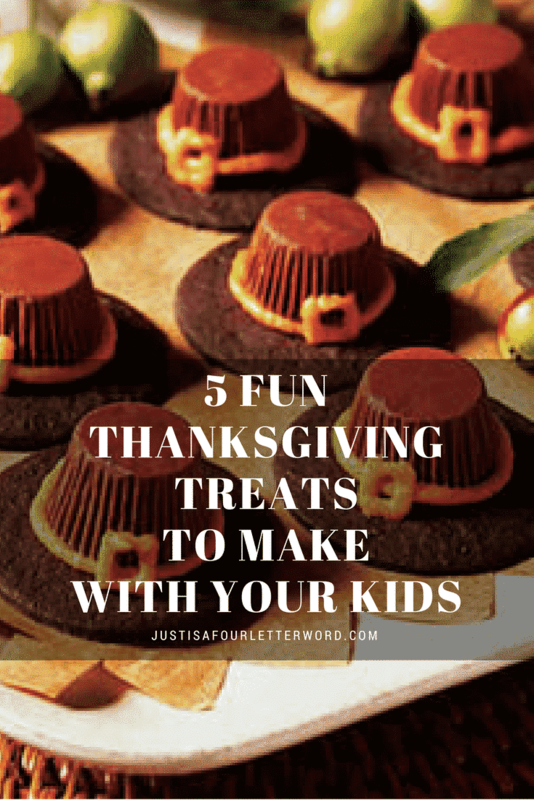 Are you looking for some awesome treats to make with your kids for Thanksgiving? I have been searching the internet high and low for my favorite yummy treats and I can’t wait to make some of these! The holidays are a great time to get kids interested in the kitchen. And as a bonus, you can teach them the meaning of the holiday while you are creating! These delicious Thanksgiving snacks are a great way to celebrate the holidays and do something fun with your little ones. Click the links to find out how to make them! 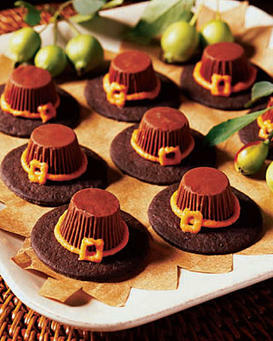 No baking or hot pans required for these Pilgrim Hats . If you find a good way to transport these you’d have a great dessert treat for dinner at a relative’s house. 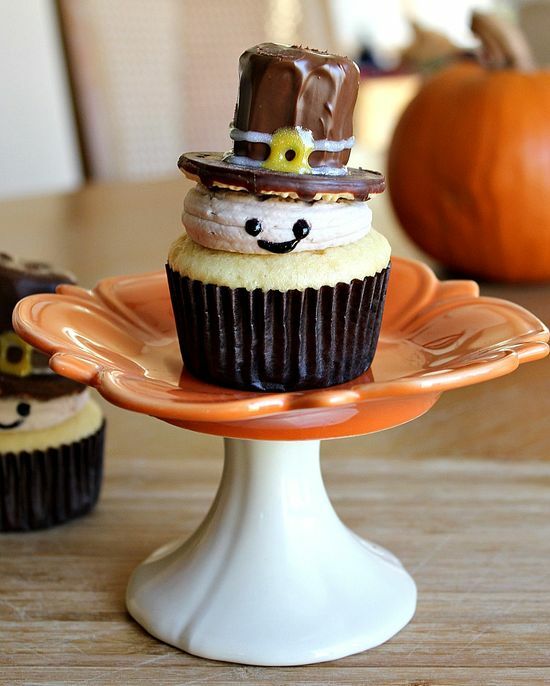 These Pilgrim Cupcakes are a little more involved since you have to melt chocolate, but you could make the hats before the kids come in to the kitchen and they could help you assemble the cupcake. Emily used pre-made dough for her Pumpkin Pie Mini Pop Tarts to speed things up, and her family enjoyed the way they turned out. I’m sure my kids would enjoy cutting and shaping the dough. 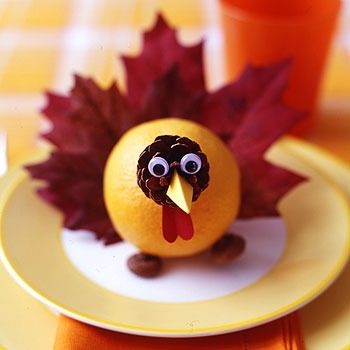 This Orange Turkey can be used as a decoration and will probably last a bit longer then the other treats – or is that only at my house that we eat desserts quickly? If your goal is to spend time with your kids these Yummy Turkeys can help you with that since it takes about 10 minutes to assemble one. I definitely have my eye on those mini pumpkin pies! I think I will definitely make a batch this weekend. How about you? 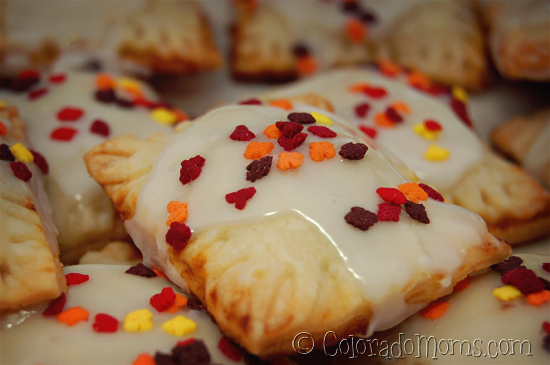 Have you made any Thanksgiving treats with your kids this year? Want more? 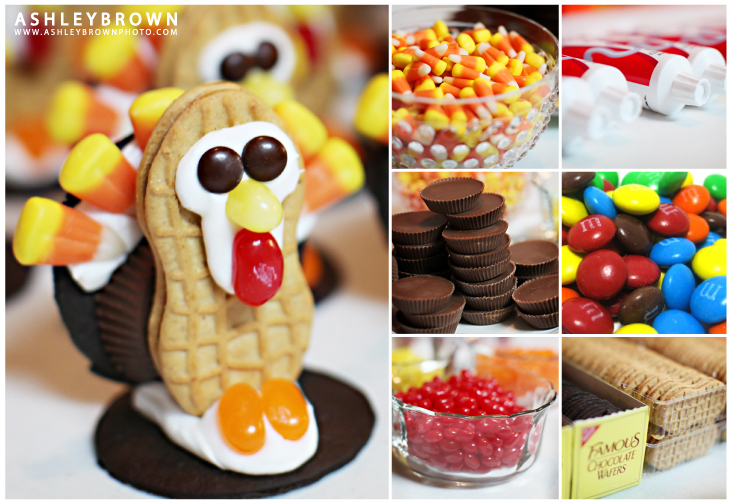 Check out my Thanksgiving Kid’s Crafts round up! Those look amazing. I’m sure mine wouldn’t resemble those at all. Can we just come to your house instead?!?! ?